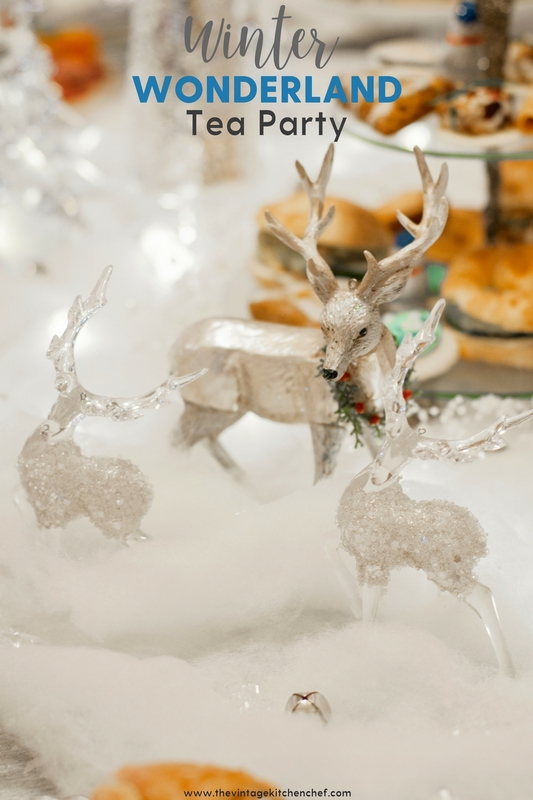 A magical Winter Wonderland Tea Party complete with sparkle, soft lights, delightful treats and a touch of whimsy! Time to relax and enjoy! 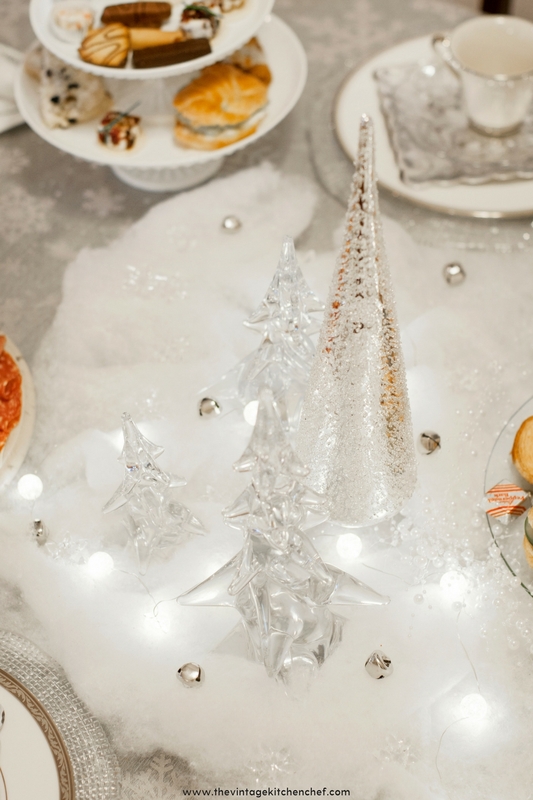 A magical Winter Wonderland Tea Party complete with sparkle, soft lights, delightful treats and a touch of whimsy! Time to relax and enjoy! 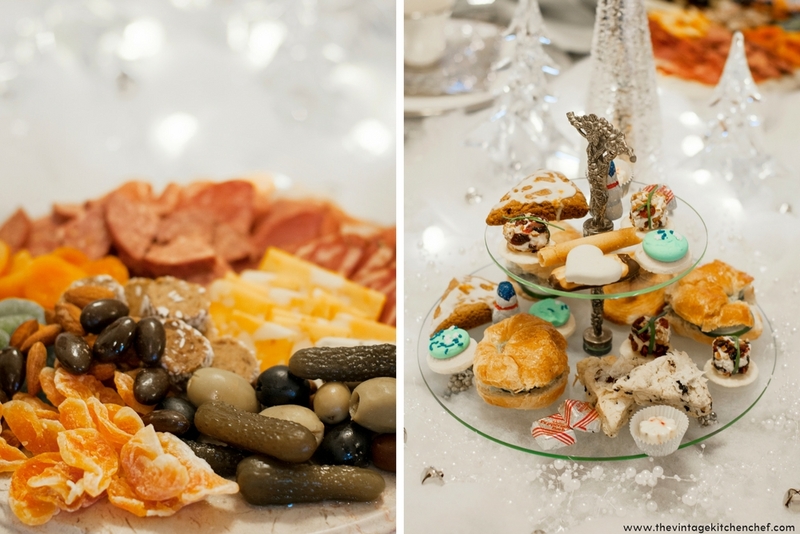 Simple yet elegant was the theme, and it made the Winter Wonderland Tea Party one of my all-time favorites! It’s fun and economical to use decorations you already have on hand, and that’s what I did when I started putting this party together. I was fortunate to have the gorgeous crystal trees, and that’s what I centered the decor around. They were a gift from a lovely lady who has been gone many years now. Find something you love and start planning! I love it when I can find lots of goodies at 50% off when I go to Hobby Lobby then I added some plastic napkin rings, and cute jingle bells from the Dollar Store and I’m pleased to say that I created a little magic! 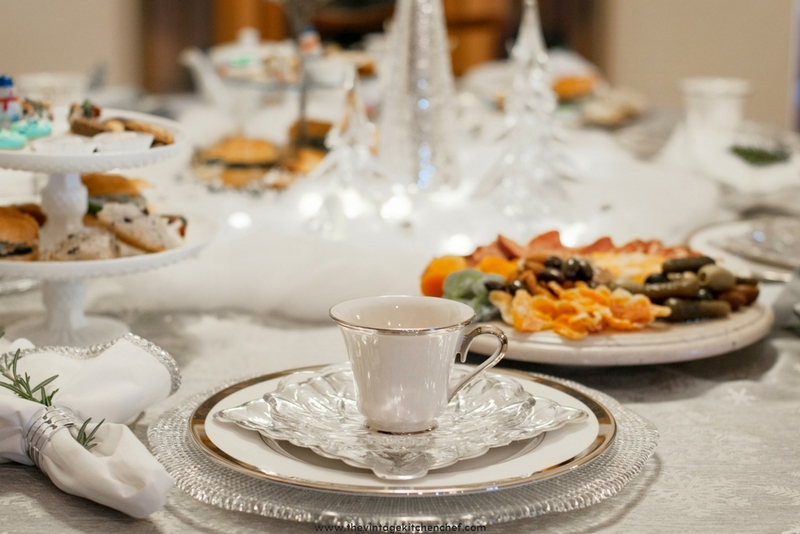 White for winter and the holiday season is understated and elegant…perfect for a tea party! 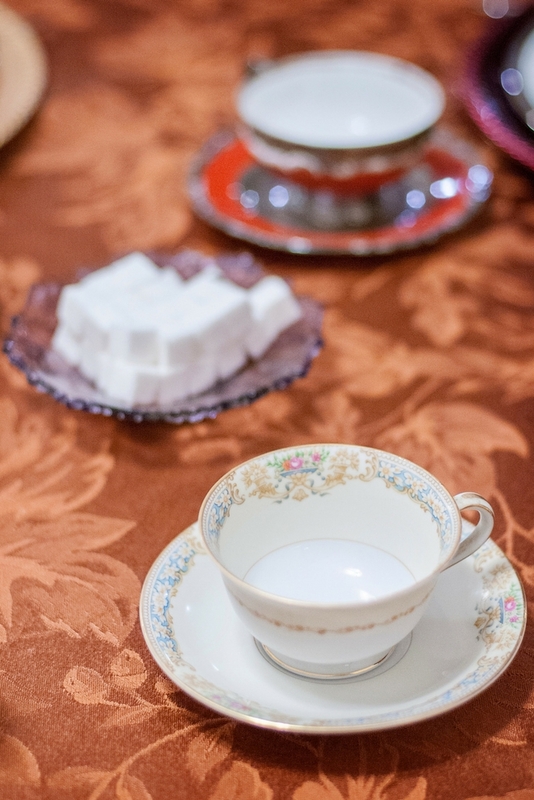 I do a lot of entertaining and have a vast collection of chargers, plates, and teacups, but not to worry if you don’t because I bought those pretty little square silver plates on sale, and borrowed the lovely teacups! Thrift store finds, and paper dinnerware can set a great looking table. I have an abundance of rosemary growing in my backyard, and I use it for decorating as well as cooking! Look in your closets, your garage and even your yard for some tremendous decorating items then mix and match and get a little creative to create a gorgeous party that doesn’t break that bank. Naturally, we had plenty of yummy treats that I will be sharing the recipes for throughout the month. Scones are a must for every tea party and for this one we had savory Olive Parmesan and Rosemary Scones and delicately sweet Gingerbread Scones with Orange Icing. YUM! 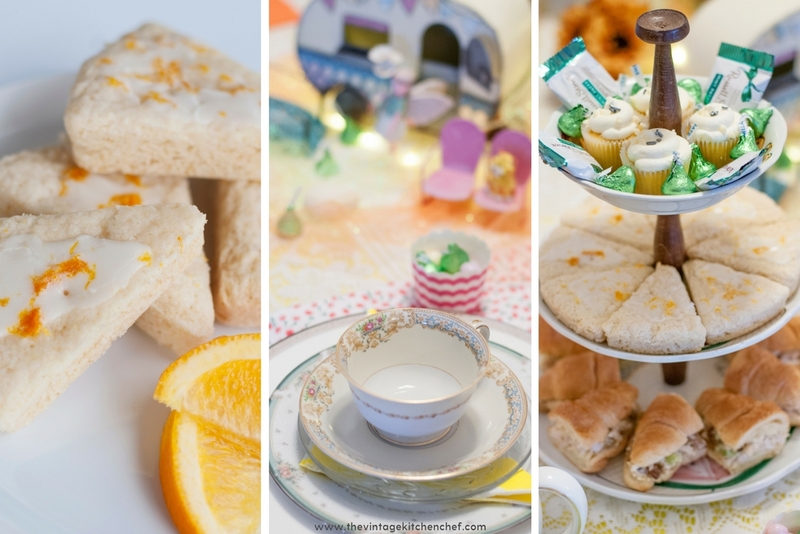 Cucumber sandwiches are always great for a tea party menu, and I like to create them using ingredients I have on hand. Check out this yummy recipe for Lemony Cucumber Tea Sandwiches that weren’t part of this party, but are one of my favorites! I like to focus on making a few menu items that have the WOW factor and then fill in with some tasty treats from the store. A charcuterie board is always a fun way to add some great color and flavors to your party. I like to keep an assortment of meat and cheese on hand, as well as some dried fruit, nuts, pickles, and olives so that I’m always prepared for a quick dinner for two or an easy to put together appetizer for guests. 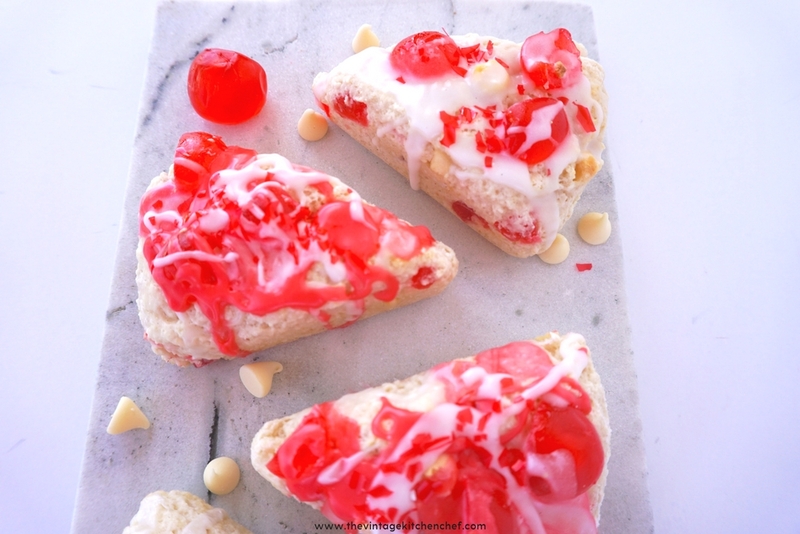 Easy Cherry and Pistachio White Chocolates are a breeze to make and are always a huge hit! Simple is still good! Assorted store-bought cookies and candies completed the menu. Pineapple and Cranberry Mini Cheeseball Bites we a total hit because they’re so yummy and festive. Cute tiny “packages” sitting on top of a cracker make them super easy to create and eat! We had food, lots of food! There was magic in the air! Aren’t these deer beautiful? They’re inexpensive (yes, those half off items) ornaments that added a bit more cheer to our party! I just placed them in a bit of “snow, ” and we had a winter wonderland! 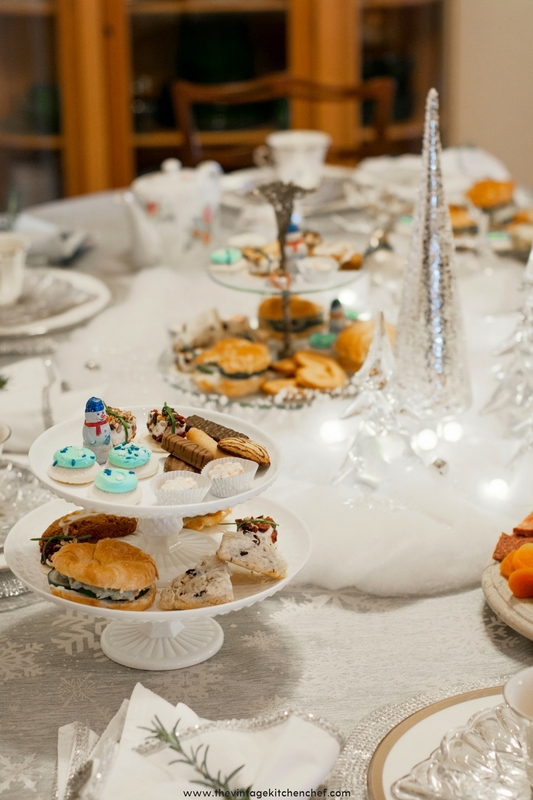 Great food, friends and a pot of warm tea are all you need to relax and unwind whether you plan your Winter Wonderland Tea Party in December or during January or February. Take some time to treat yourself, unwind and enjoy the pleasantness of afternoon tea! Special thanks to Hilary Stailey for the wonderful photographs! Sign up for FREE updates from The Vintage Kitchen! I'm Michelle and I love to cook! I've been a personal chef, caterer and cafe owner. I have loads of great recipes that I'd love to share with you.